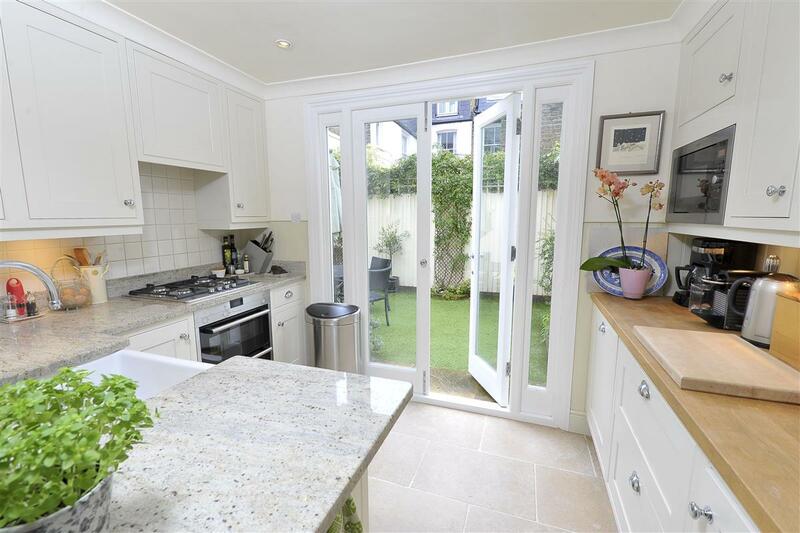 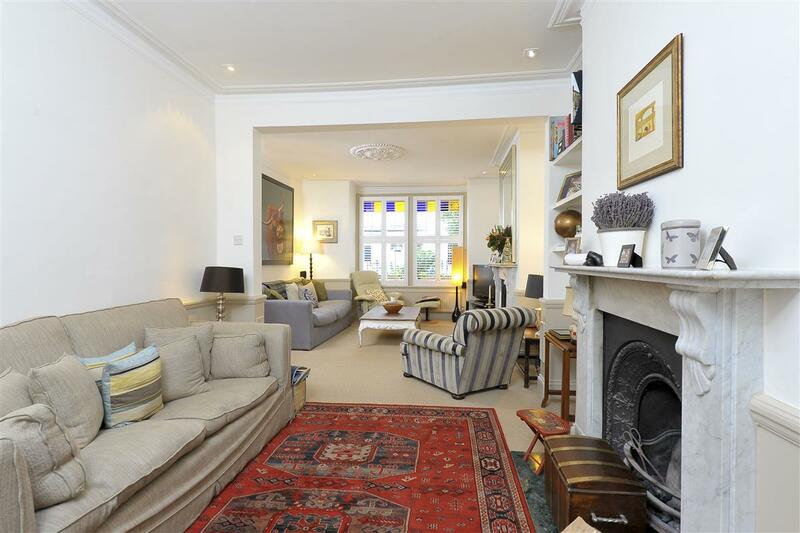 This charming and well presented four bedroom house (1663 sq.ft) is situated on an extremely sociable street in West Putney. 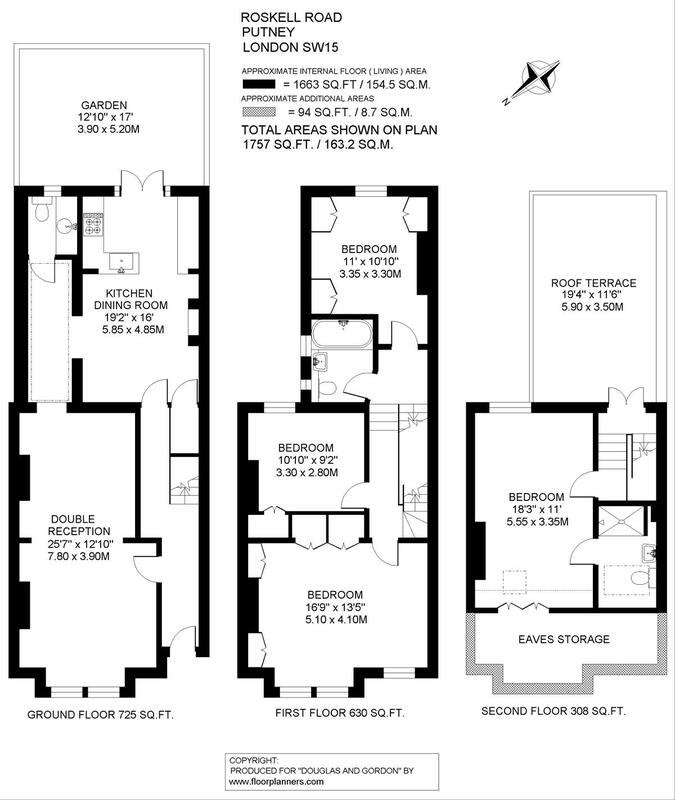 The ground floor comprises the entrance hall, a double reception room (25'7" x 12'10") with cornicing and ceiling rose, a square bay window and two working feature fireplaces (one a gas fire) and tiled hearth, and there is access to the study from the reception room. The kitchen/dining (19'2" x 16') room has wall and base units with part-wooden and part-granite work surfaces and is equipped with a range of appliances, including an extractor fan, an inset four ring gas hob and oven below, a fitted microwave, pelmet lighting, inset lighting, a tiled floor, a Butlers sink with a swan neck tap and double doors to the garden. 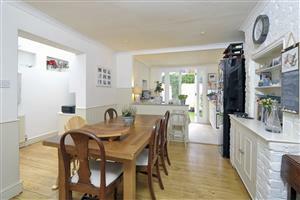 The dining room has wooden floors, coving, a drinks cupboard with a fitted wine rack with work surface and shelving above. 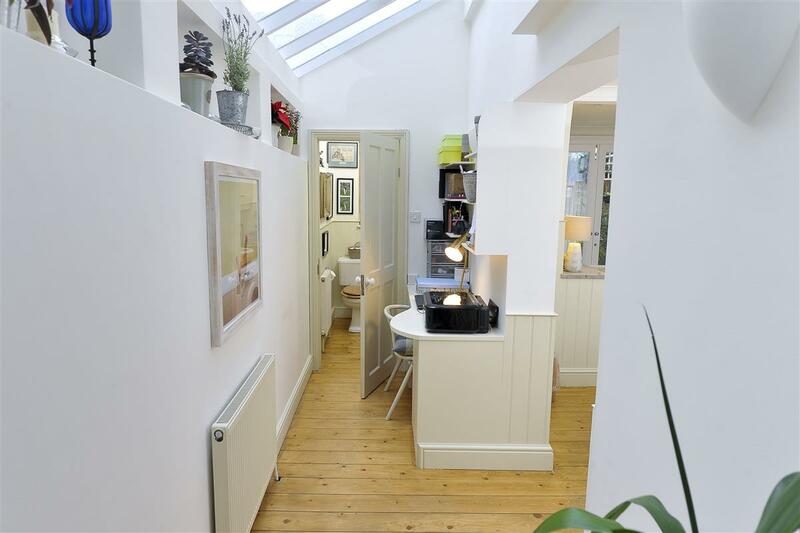 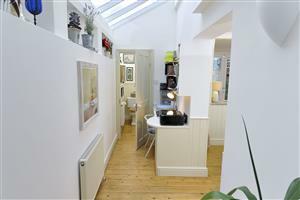 The study area has wooden floors and a door to the separate WC and utility area. 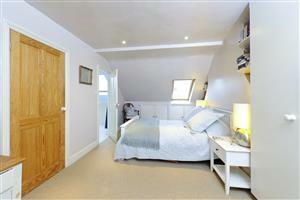 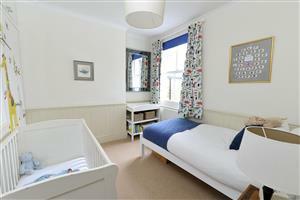 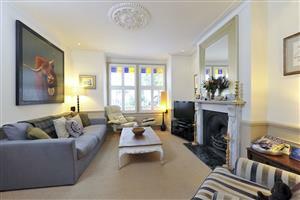 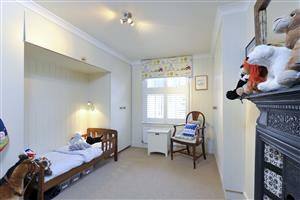 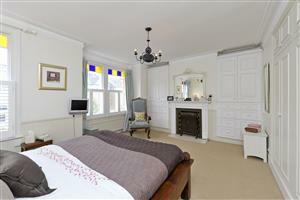 The first floor comprises three double bedrooms and the family bathroom. The front bedroom (16'9" x 13'5") has a range of fitted cupboards in addition to another two storage cupboards, coving, a feature fireplace and a square bay window with coloured pane windows. The middle bedroom (10'10" x 9'2") has a fitted cupboard and the rear bedroom (11' x 10'10") has three fitted cupboards, feature fireplace and views over the garden. 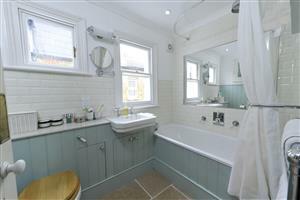 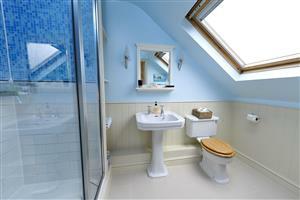 The family bathroom has a panelled bath with mixer tap and a separate shower into the bath with shower. The bathroom is part panelled and part tiled and has inset lighting, two windows, a tiled floor, a low level WC, a wash hand basin and a large fitted mirror and under floor heating. The second floor features the master bedroom (18'3" x 11') with an inset velux window, inset lighting, a fitted cupboard, and doors to the eaves storage. The en-suite shower room features a fully tiled shower cubicle, a pedestal wash hand basin, a low level WC, an inset velux window, shelving and a tiled floor. 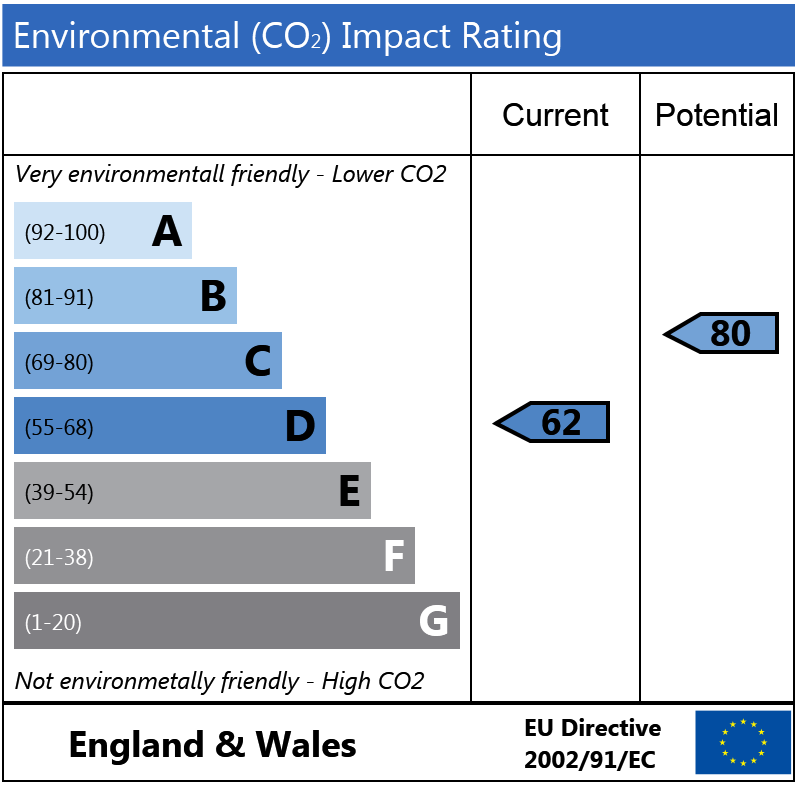 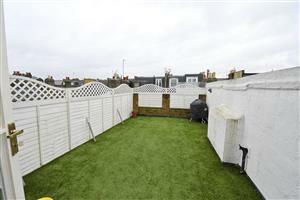 The house has a roof terrace and garden - the roof terrace (19'4" x 11'6") is laid with astro turf . The garden (12'10" x 17') is laid with astro turf with a surrounding raised brick flower bed housing a mixture of plants and shrubs. 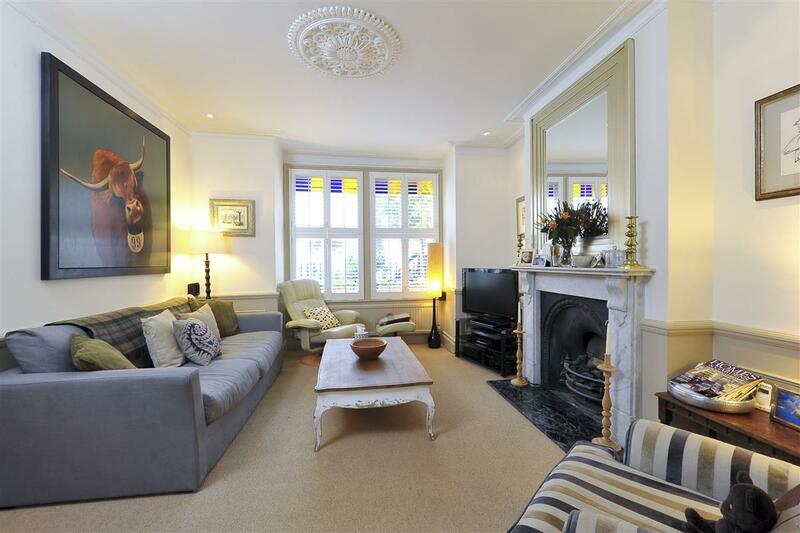 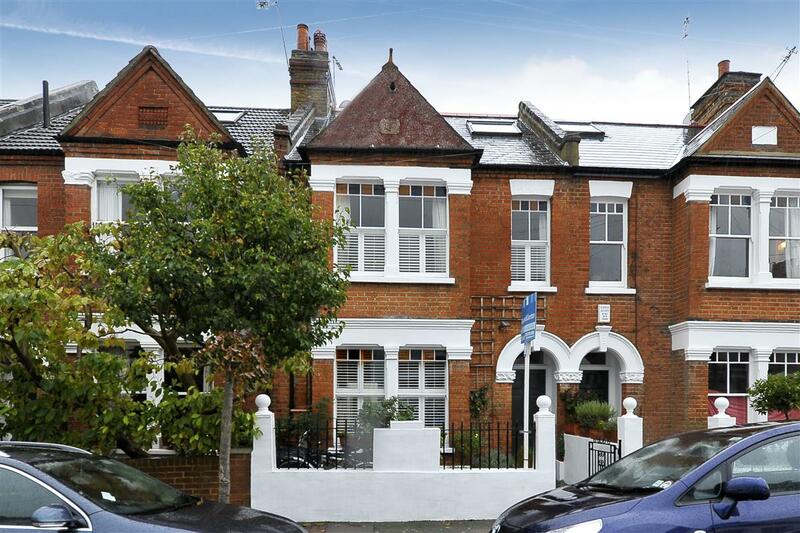 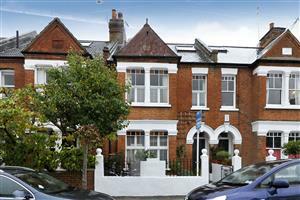 Roskell Road is ideally located off the Lower Richmond Road close to the river and the local schools and parks. 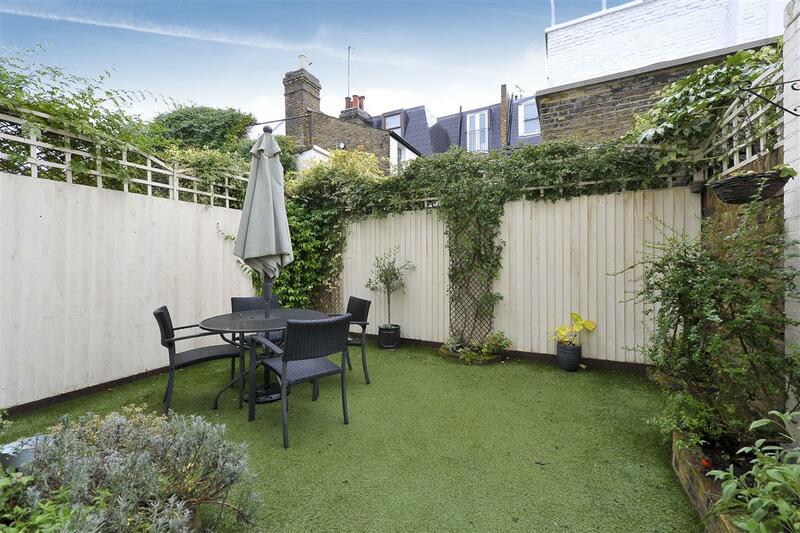 All the shops, bars and restaurants of both the Lower Richmond Road and Putney High Street are within easy walking distance. 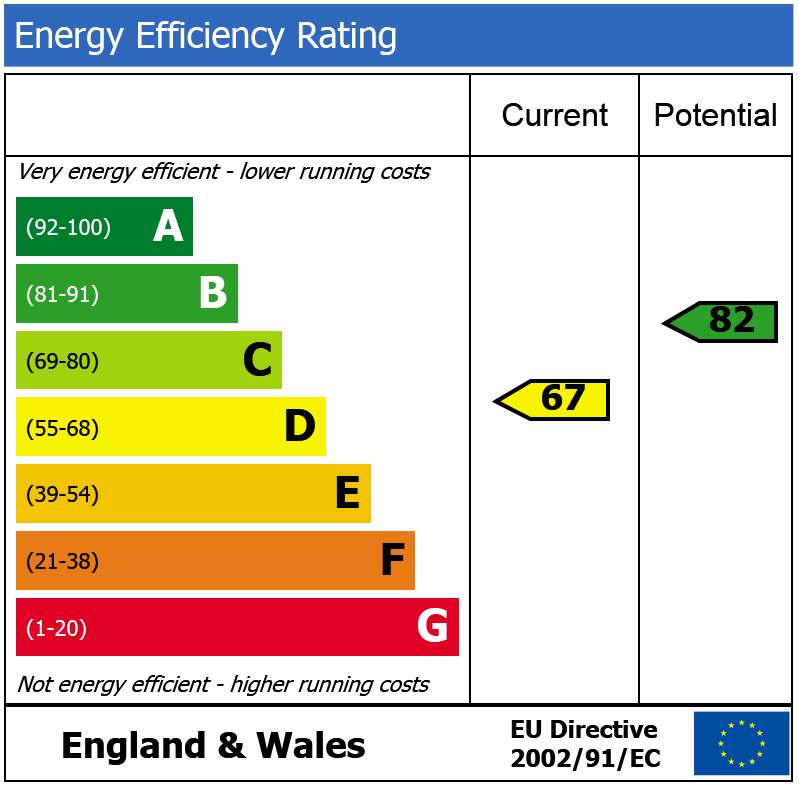 Bemish Road, SW15 540m (6 mins) from Putney.